Home CAT Executive MBA Full Time MBA GMAT Part Time MBA Executive vs Part Time vs Full Time – Which MBA is right for you? Executive vs Part Time vs Full Time – Which MBA is right for you? Positively it is little tricky that which MBA would be right or better whether executive or part time or full time and to answer this query we need to understand each above MBA differently. 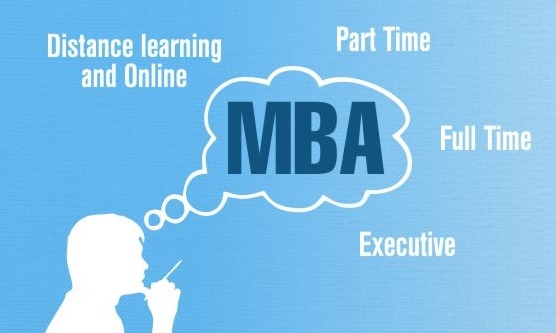 Who can apply for Executive MBA or why Executive MBA is required? All those working executives might feel or get sensitized on their official journey to upskill their knowledge and create more skills to achieve established goals of the organization. Since these executives are upwardly mobile hence they need different skills which might gain them employability glocally. These executives are the real target group for the executive programs. All IIMs and top MBA Institutes offer executive programs for such candidates. But you need to have CAT score or GMAT score with high percentile to become eligible for filling up the applications for the executive programs. You got to have a minimum of five years of work experience to apply for executive program. Definitely after getting your name in the cut off list you will be subjected to group discussion and finally for personal interview. The crucial point for executive programs is that you will be having teaching methodology which will be different from other programs and you will be undergoing for fifteen months and it will be a residential program for you. The other crucial factor executive program is that executive has to leave the job or gets sponsorship from the company and then join executive programs. The other difficult pastures have come now in the executive programs that placements are not guaranteed. But on the contrary those executives who are very confident personalities are positively opting for executive programs and after having upscaling their skills are venturing out to international markets with bold decisions. On the other hand part time programs are also meant for the working executives with minimum five years of work experience but most of the time part time programs are suitable for those executives who are in marketing and sales domain in any company. The typical target group of part time program is that either they have not gone through management education earlier because of their previous weaknesses or circumstances. But now having realized this group of working executives would like to upscale their knowledge base and venture out differently. For a student who is thinking for part time programs has to go through objective type entrance test separately conducted by individual institute and after gaining minimum passing marks they still have to go through GD and PI. Top Institutes who are offering part time programs are conscious of the fact to intake quality students and that suits to the candidates even because your diploma as a part time is recognized by industry. Typical nature of part time program is that you will be undergoing teaching for minimum three years and the biggest plus point for the working executive is that you need not leave your job and continue with your education to attend part time MBA classes in the evenings and on weekends. With the part time program there is no placement offers on behalf of the institute and the students have to network themselves to gain better prospects in the current organization or look forward to green pastures in other organizations. Full Time MBA is a program where most of the fresh graduates apply and even working executives of maximum one or two years of experience also apply. Those students who are looking for 2 years full time MBA program will have to have CAT/IIFT/XAT/SNAP/NMAT/CMAT/MAT/IBSAT/MAHCET valid scores and based on your cut off percentile the candidates will be subjected to either WAT or GD followed by PI. The differentiator of full time program is that during the entrance you are tested strictly for your quantitative skills and language skills and since in absence of your work experience your aptitude and attitude become very crucial for your selection. Residential full time MBA gives you many other benefits of the campuses which offer you learning resources, industry visits and you also listen to the guest faculty which comprises of top haunches of the industry. With this full time program even the institute helps you to get placed in one of the best company and you are offered handsome package. During the campus stay you also learn cross culture observations and many a times you visit some foreign university under student exchange programs. With the above it is evident that all these programs whether executive or part time or full time is right for an individual but depends you belong to which target group and you need to understand that how you can be eligible for each program and reap the dividends.